John Malkovich (Dangerous Liasons, Burn After Reading) has signed on to join Sandra Bullock (Gravity, Crash) in the upcoming Netflix film Bird Box, according to Variety. Based on The High Strung rocker Josh Malerman’s 2014 novel, Bird Box follows a woman named Malorie who is trying to get her two children to safety during a major attack by an alien force. It involves a 20-mile trip downriver in a rowboat while blindfolded. He’s also reportedly in talks to join Mark Wahlberg in Mile 22 at STX. Before Netflix took over, Universal acquired the book in 2013 with screenwriter Eric Heisserer (Arrival) penning the screenplay. Mama and IT helmer Andy Muschietti was originally attached as director, but now Oscar winner Susanne Bier (In a Better World, The Night Manager) will direct from Heisserer’s script. Netflix film chief Scott Stuber (Ted, Patriots Day) will produce Bird Box for an August production start. “Five years after it began, a handful of scattered survivors remain, including Malorie and her two young children. Living in an abandoned house near the river, she has dreamed of fleeing to a place where they might be safe. Now, that the boy and girl are four, it is time to go. But the journey ahead will be terrifying: twenty miles downriver in a rowboat—blindfolded—with nothing to rely on but her wits and the children’s trained ears. One wrong choice and they will die. And something is following them. But is it man, animal, or monster? 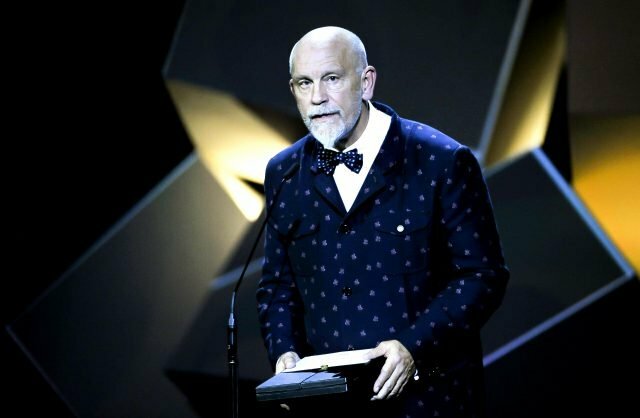 What do you think of John Malkovich joining Bird Box?